﻿In the early eighties, my parents purchased a furniture store called Crown Furniture, a decades old company in Tulsa. At the time, my siblings, Julie, David, Dan and I were all small. When we weren’t in school or during the summers, we were often at work with our parents. Growing up around the business was in itself an education, and with it came adventure. When we were younger, the four of us kids mostly played at the office. But, as the years went by, we learned life lessons from watching our parents run the store. My sister and I helped in the office doing paperwork and sales, and my brothers were involved with deliveries and repairs. Dad and Mom allowed us kids to be involved in many aspects of the business and would often introduce us to customers and factory representatives, giving us opportunity to improve our people skills and confidence as we learned how to think like owners. Fast forward 20 years and Crown today is owned and operated by my siblings and I, who are all now in our thirties. Since the days our parents owned Crown, it has undergone many changes and reinventions. As a company and a family, we have endeavored to meet the challenges that continue to arise in a changing industry. By regularly attending trade shows to find the best value and design, we focus on keeping our store and product offerings fresh and innovative. Also, in line with our marketing strategies, we strive to maintain an online presence which includes optimizing our website www.crownfurniture.com and having a highly visited Facebook page. Each sibling heads up an area of the business, and as a team, we meet regularly to discuss decisions, changes and the overall focus of the company. When facing major decisions, the lively discussions that sometimes ensue are what bring out some of the passion (and fun) to the job. Though we have our disagreements, thankfully, it is rare for us to reach an impasse. 1. Always treat people well: My parent’s store provided a friendly, non-competitive atmosphere. By taking the time to show interest in our clients’ lives, we too have gained friends and repeat business by letting them know that they are not just a number. Many of our clients have stayed with us for 15, 20, 25 years – which is one of the great compliments of our work. Some of those clients are also 2nd or 3rd generation business owners. 2. Keep the salesmanship alive: In many box stores today, the showman side of the sale has been lost. I find that it’s usually because the salesperson has no passion or real interest in what he or she is selling. In settings like this, hum drum salespeople will produce a boring experience that lacks insight and an honest enthusiasm for the product. We learned from my Dad how to tell a story, the value of knowing our product, and the importance of connecting with our client. Whether he was pouring hot coffee on a Paoli wood desk to show the durability of the heat resistant finish, or jumping up and down on a Virco children’s size stack chair to show the superb quality of the steel brace, Dad was always selling with a style that often bordered on theatrics. Let me ask you this, when was the last time someone really “sold you” on a truly good product? I’ll bet it was a locally owned store, not a chain. 3. Know when to close the deal. When training us in sales, Dad would often say, “When the client is ready to buy, stop talking and close the deal.” I have seen this bear out to be true over the years. Once the client has decided they are ready to buy, if you talk too much or ask too many questions, they can end up changing their mind and the sale will be lost. 4. Stay in Unity: Over the years, the focus on unity was stressed over and over. Dad and Mom wanted us to get along as siblings but beyond that, they would strive for us to get along as a family business by emphasizing team work. We learned to take ownership of certain areas while helping each other with bids, sales calls, delivery coordinating and problem solving, things we still do today. Deferring to each other when one of us is more suited to the task than the another is something we often do because we ultimately know that at the end of the day we want the best for each other and our business. This knowledge and trust helps provide the platform from which we work together on a daily basis. 5. Steady plodding = Prosperity: When you have been in a business for years, it is easy to let the passion for it wain. Mom and Dad modeled the importance of putting their efforts towards a goal and staying consistent with it day in and day out. Nearly 30 years have passed since that day my Dad got the keys to our first furniture store location. Since that time, our industry has changed significantly, especially with the onset of online retailing. Independent retailers need to focus, now more than ever, on being a local store that people like to do business with. Whether it’s using local landmarks to showcase our product in an ad campaign, or giving away a free ipad on Facebook to increase web traffic, Crown endeavors to stay on the cutting edge. It's an edge refined by the partnership of a strong second generation that values the tools proven by the first. Great tips! I was also raised in a small business family (clock repair) and learned a lot of things that help me in my own business. The most important is finding your niche and being the best at what you do. Reading the article above feels like a journey. I like the idea of keeping the salesmanship alive since it is the one thing that keeps a clear connection between a business and a client. When this connecting line isn’t performing as it should, there exists a problem in conversion. Hmm..exactly dealing to the customer really matters alot..! 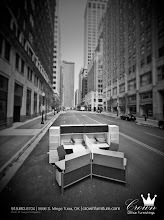 Do you know that there are various types of office furniture that you can choose from? 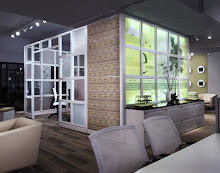 Yes, and these are seating furniture, surfaces furniture, storage furniture and sets furniture. Seating furniture is categorized in to two and these are single seat and multiple seats. Single seat furniture includes chair, recliner and stool. On the other hand, multiple seat furniture includes bench, couch, sofa and gang chair. 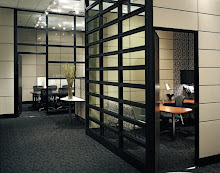 Surfaces furniture includes table, desk, pedestal, workbench working stations and partitions. Moreover, storage furniture includes bookcase, cabinetry, drawers, wardrobe cabinets, filing cabinet and safe cabinets. Lastly, set furniture includes bedroom set, dining set and vanity set. You can check more furniture info from here. I am completely satisfied with this article. Everyone want the best furniture space to store in a safe place. For any detail regarding Furniture Storage Bangalore visit Safe Storage. I am feeling happy while reading your article which is related to furniture. 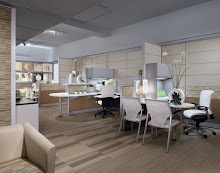 Furniture play a key role in office. Danny's Desks and Chairs is the leading manufacture if anyone want to get Office furniture Brisbane at affordable price. What a Amazing post you shared! I am really delightful to reading this. I appreciate your work and your effort trying to give me better articles. Excellent explanation all point like an expert writer.You figure out a real Visualization of home or office appliance decoration.